I joined the University of Dundee in 2012 as a lecturer, having completed my PhD at the University of Sheffield (2008-2011). 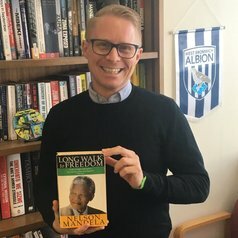 I have a longstanding interest in history and politics in its global context, with my research focusing on Southern Africa. My focus on contemporary African history enables an analysis of the enormous global changes of the twentieth century. My approach seeks to place distinct area specialisations, notably African, within the context of wider patterns of international economic, political, social and cultural expansion, contraction and reconstitution. By paying due regard to the interaction of such forces, global themes can be examined from non-Western perspectives, while avoiding the parochialism which so often haunts area studies. My research, while focusing on Southern Africa, lends itself to wider global themes as it addresses decolonisation, liberation movements, Cold War conflicts, democratisation, and post-colonial governance. My research has addressed themes such as: the foreign policy of the ANC charting the continuities and discontinuities of its policies from exiled liberation movement to governing political party, 1960-2007; South Africa's transition process; an exploration of the role / influence of ‘liberation solidarity’ within Southern African liberation movements; and the ANC's position in the emergence of the anti-apartheid movement. The next core research project "Contested Transitions: The legacies and implications of South Africa’s negotiations to majority rule" sets out to examine transitional political processes, centred primarily on the shift from apartheid to democracy in South Africa (1990-94). It will examine the nature of the negotiation process and its political compromises. In 2013, I became a Research Associate in the International Studies Group, based at the University of the Free State in South Africa.